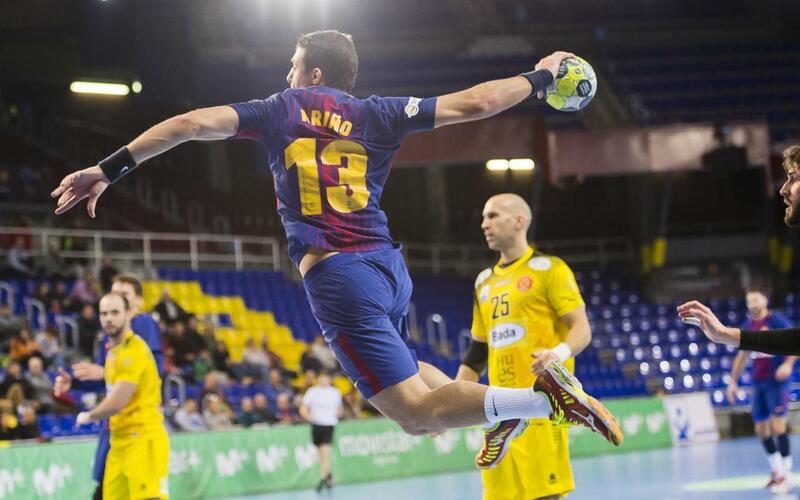 Barça Lassa stayed undefeated on the season by earning its 15th win in 16 games in the 2017-18 Liga Asobal after downing visiting Bada Huesca, 33–20, on Wednesday night at the Palau Blaugrana. Aitor Ariño and Aleix Gómez led Barça with eight goals apiece, in what was the first game — and victory — of 2018 for Barça on its home court. Victor Tomás and Timothey N'Guessan added five goals each. After the long break for the European Championships Barça, which boasts five players who won gold medals with the Spain team, was too much for Huesca to handle. Effective on the counterattack, head coach Xavi Pascual's team was also stingy on defense, holding Huesca to just seven goals in the first 25 minutes of play. With the comfortable win behind it, Barça must now turn its attention to this weekend's Champions League Game of the Week against current European champions Vardar of Macedonia at the Palau Blaugrana.